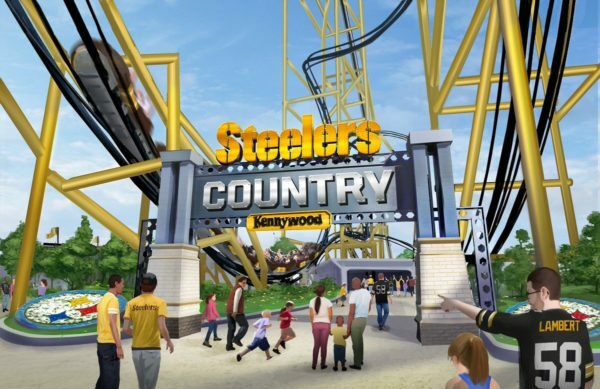 It’s been a few weeks since Kennywood pulled back the curtain on The Steel Curtain roller coaster, but we’re still gushing over how awesome and shocking the announcement was. In no particular order here’s five reasons why I think this will be a coaster announcement to remember. Going into this announcement we didn’t know: the name, the theme, the manufacturer, the type of coaster, or the layout. This is almost unheard of in this day and age of the internet. We almost always know at least one piece of information. Take Canada’s Wonderland’s not-yet-announced roller coaster for 2019. We already know it’s a B&M dive coaster. 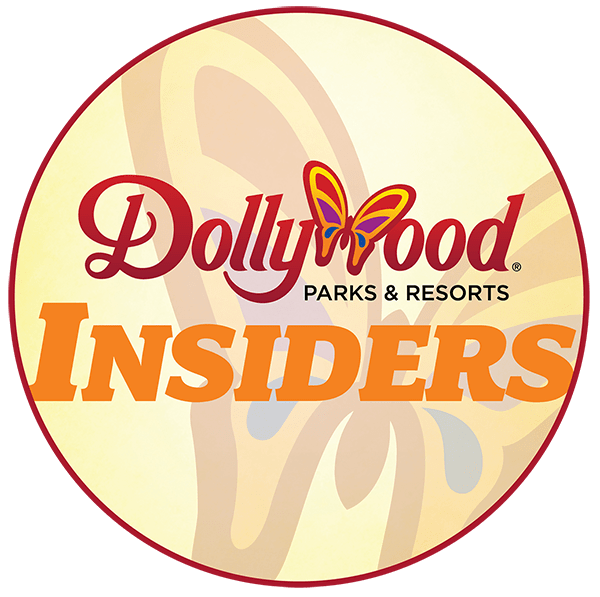 But for Kennywood’s announcement we knew nothing except maybe the location it was going to be in the park. It’s amazing that no employees or contractors spilled the beans, whether on purpose or by accident. No plans were dug up by coaster nerds. No proposed plans were exposed by a local newspaper. The fact that even when Kennywood gave us nine clues about the coaster, we still weren’t able to nail them all down completely just leaves me in awe. Well done! Quite a few people were shocked to hear the coaster is coming from US based S&S Worldwide. 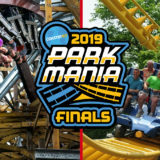 It’s their biggest coaster ever and probably their most anticipated ride in the US since the failed Hypersonic launch coaster at Kings Dominion. Many enthusiasts have voiced concerns for Steel Curtain due to the delayed openings of Gale Force and Merlin’s Mayhem. 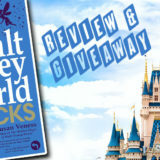 From what I’ve heard, Merlin’s Mayhem was delayed due to the state inspections. It took a long time for the state to sign off on the coaster because of how it traveled over and under other attractions in the park like the sky ride, which was no fault of S&S. Therefore, I’m cautiously optimistic. Besides, it’s a good thing to have a variation of roller coaster designers and manufacturers. Competition is good for the business and it means we, the consumers, win. We’re excited to see what S&S can bring to the table. To go along with that, one of the big complaints I read was about the “ugly” looking support columns. I have two thoughts on this. 1.) It’s just a rendering, the actual design could be completely different. 2.) There are massive supports because the spine of the track will be tiny. Instead of bending steel and doing a bunch of welding to make a stronger double spine like on Skyrush of I305, it looks like they instead opted to make beefier supports. Why? I’m guessing it is cheaper to make either I-beams or cylindrical bolted columns versus more complicated bending and welding operations. We haven’t heard much about the trains but I’m guessing they’ll be unveiled at the 2018 IAAPA trade show in Orlando. In a world where most new roller coasters feature the same elements just in different order, it’s refreshing to see something really unique. The first drop/inversion looks bonkers. And that banana roll over the lift? Whew! I love how efficient the layout is too. Take a look at the overhead view of the layout. That’s a lot of track in a small space. Really smart how multiple pieces of track use the same support column structures. 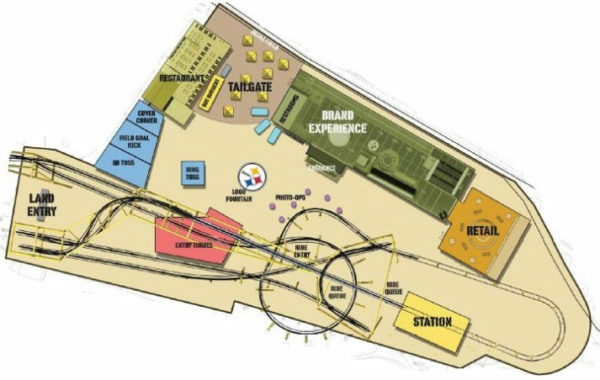 If you’re getting some Rocky Mountain Construction vibes from Steel Curtain’s layout, you’d be right. We’ve heard that Steel Curtain is designed by Joe Draves from Ride Centerline, the same company as Alan Schilke that designs for RMC. Joe also designed Lightning Run at Kentucky Kingdom, so I totally trust him to provide a thrilling layout. Kennywood surprised us not with just the addition of a new coaster, but an entirely new themed “land” to go with it. And not just any theme. The identity of Pittsburgh is the Steelers. Is there another city with a sports team that means more to its residents than the Steelers do to the city of Pittsburgh? If we listed all 32 NFL teams I don’t think there is a more perfect fit for a football tie-in at an amusement park, except for maybe California’s Great America since they share the same parking lot. And this is coming from a Cleveland Browns fan. Love or hate the Steelers, any football fan should be able to respect and enjoy the new area. 31 years. When Shockwave at Six Flags Great America opened in 1988 it took the records for tallest roller coaster and most inversions in the world with seven. 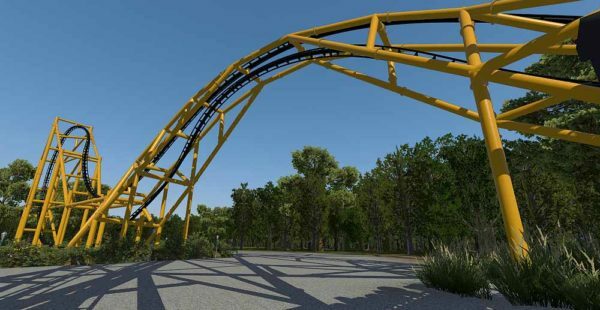 31 years later a park in the United States is finally going to build a coaster that goes upside down more times than Shockwave. 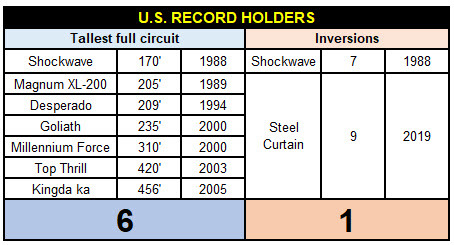 To help put that in perspective, the record for tallest full-circuit roller coaster in the United States has been broken SIX times in that same time span. How twisted is Steel Curtain? 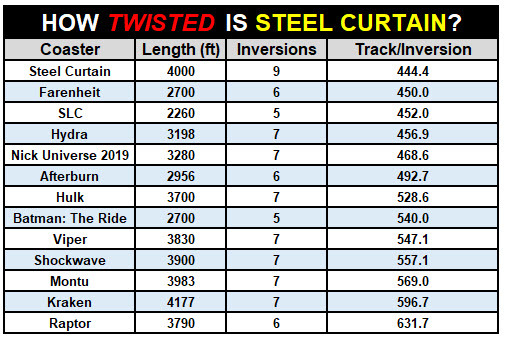 We looked at a number of coasters and of the ones we researched, Steel Curtains turns riders upside an average of once every 444 feet, which is fewer feet between inversions than any other coaster. 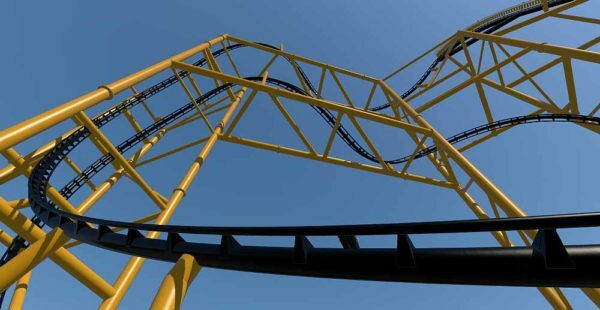 Steel Curtain should be one disorienting ride! What do you think about Steel Curtain?